H.R. Makarita, DDS, practices at the Dental Center of Tysons Corner, where his extensive experience and dedication to ongoing education ensure his patients receive exceptional dental care. While Dr. Makarita provides comprehensive dental care, he specializes in aesthetic reconstructive dentistry, offering people in and around McLean, Virginia, the most advanced procedures to improve their health and the appearance of their teeth. Dr. Makarita graduated from the Medical College of Virginia School of Dentistry, then went on to receive numerous awards and gain recognition by his peers. He achieved mastership status at the Academy of General Dentistry, which involved more than 1,100 hours of continuing education; 400 of those hours involved participation courses and case presentations. Dr. Makarita is among an elite group of cosmetic dentists who have accredited fellowship status by the American Academy of Cosmetic Dentistry. He’s an accredited fellow in the state of Virginia, a recognition that’s achieved only through extensive advanced education in cosmetic reconstructive dentistry, including presenting 50 clinical cases to the examining board and passing a rigorous Accreditation Board of Examination. Additionally, Dr. Makarita’s dedication to his profession earned him mastership status with the Las Vegas Institute for Advanced Dental Studies, where he’s a clinical instructor and regional director. 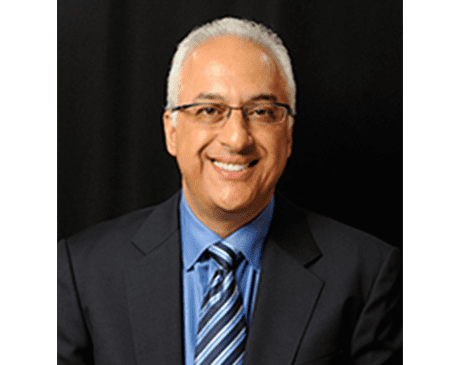 He’s also a fellow of the International Academy for Dental Facial Esthetics, a master of the International Congress of Oral Implantologists, a member of the American Academy of Implant Dentistry, and a board member of the International Association of Physiologic Aesthetics. Dr. Makarita has been recognized internationally, winning numerous smile gallery awards with the American Academy of Cosmetic Dentistry, including the prestigious People’s Choice Award. His cosmetic and reconstructive dentistry has been featured on the cover of the Journal of Cosmetic Dentistry, and he has authored several clinical articles. Dr. Makarita has been voted among the top dentists in Washingtonian Magazine and Northern Virginia Magazine for several years.